Violence has gripped Egypt as hundreds of thousands of supporters and opponents of President Mohamed Morsi spilled into the streets. Deadly clashes between the two polarized groups have led to at least five deaths, including that of an American student. 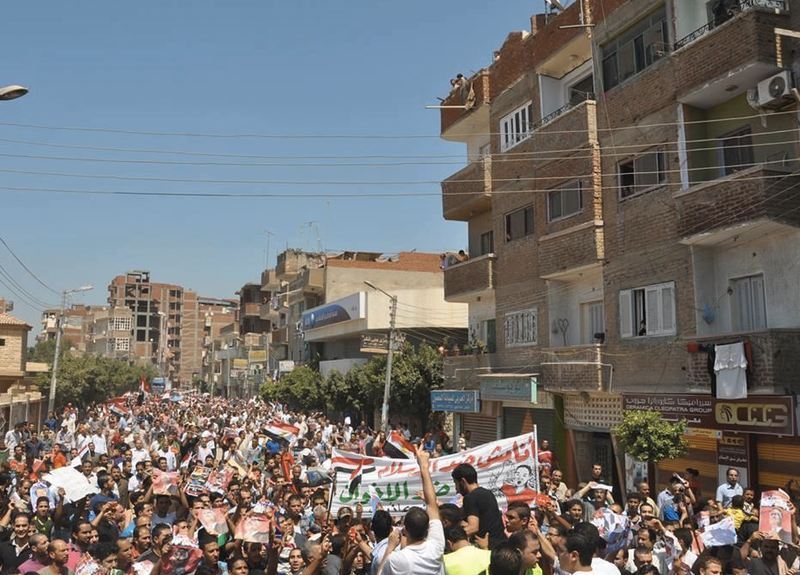 In Egypt’s capital, demonstrations largely remained peaceful despite minor clashes. Supporters of Morsi filled Nasr City’s Rabaa Al-Adaweya square chanting “Islamic, Islamic, we want an Islamic state,” and singing songs in favor of the President. 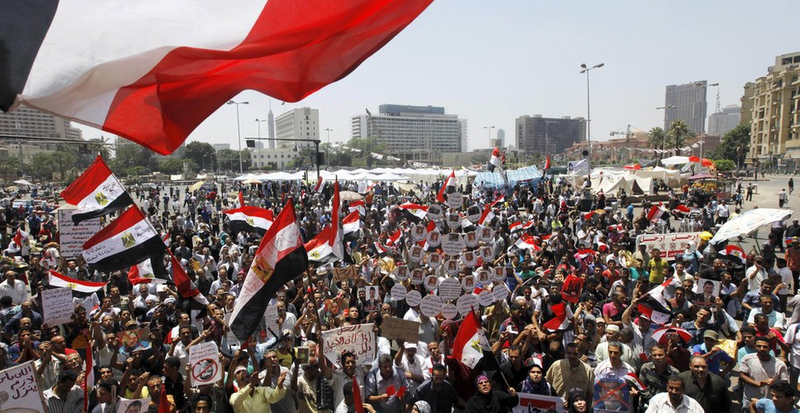 Meanwhile, the number of protesters in Tahrir Square rivaled those of the 2011 revolution, as anti-Morsi demonstrators sang national songs and chanted for the downfall of the regime. Supporters of the President stop their chanting to pray. Despite the largely peaceful atmosphere in Cairo, reports indicate at least two foreign women were sexually harassed in the square before protesters swiftly acted to save the women . The perpetrators were kicked out of the square and handed over to security services and the women were reportedly taken to a field hospital. Egypt’s northern cities experienced the most violence, as massive clashes broke out between the two opposing groups and headquarters of the ruling Muslim Brotherhood were torched. In Alexandria, at least two people were killed and more than 200 injured as clashes erupted between supporters and opponents of the President. Security officials stated that the clashes initially started after pro-Morsi supporters ambushed an anti-Morsi march near Sidi Gaber. The military and police acted quickly to quell the clashes by firing rubber bullets and tear gas. Certain footage [below] showed the police protecting anti-Morsi protesters and firing tear gas at supporters of the President who were firing live ammunition. Amid these clashes, opponents of the President gathered outside the Muslim Brotherhood’s headquarters in Alexandria before setting it on fire and looting its contents. Andrew Driscoll Pochter, 21-year-old American student living in Alexandria, was stabbed to death while recording the unfolding events. The young man’s family confirmed that Kenyon College student was in Egypt teaching English to primary school children. 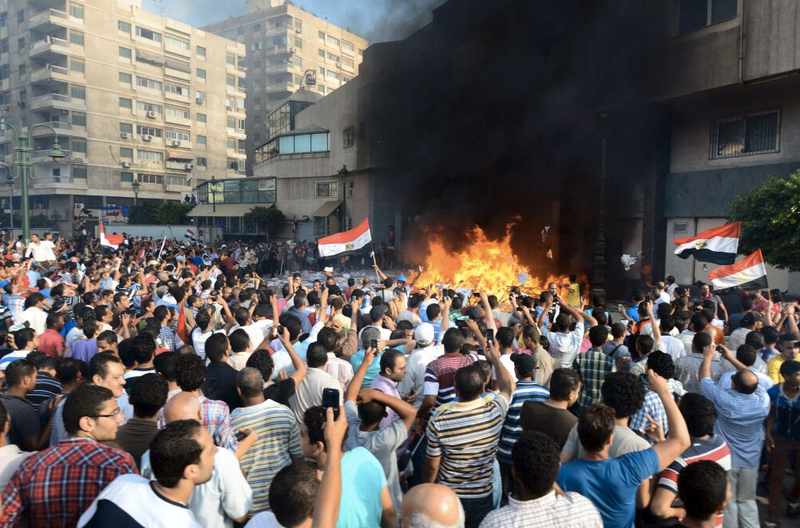 Protesters in Alexandria set fire to the Muslim Brotherhood’s headquarters. 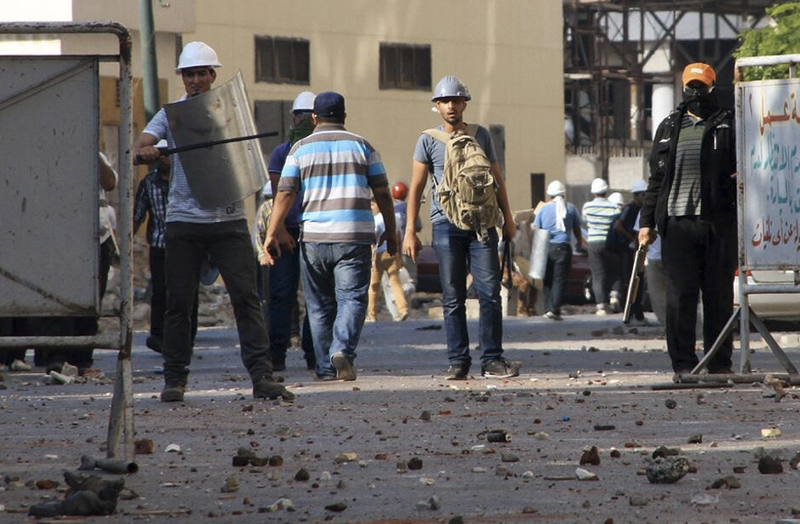 Muslim Brotherhood supporters wearing makeshift helmets and carrying various weapons. In response to the death, the U.S. State Department approved the departure of embassy and consulate employees and their dependants and recommended that non-essential employees and their relatives leave the country. In the city of Port Said, which witnessed violence in January 2013 that led to more than 30 deaths, an explosion occurred at the gathering point of anti-Morsi demonstrators, killing 38-year-old Egyptian journalist Salah Hassan and injuring dozens. It is unclear whether the explosion was intentional, but eyewitnesses claim that a gas cylinder exploded after accidentally being struck by fireworks. 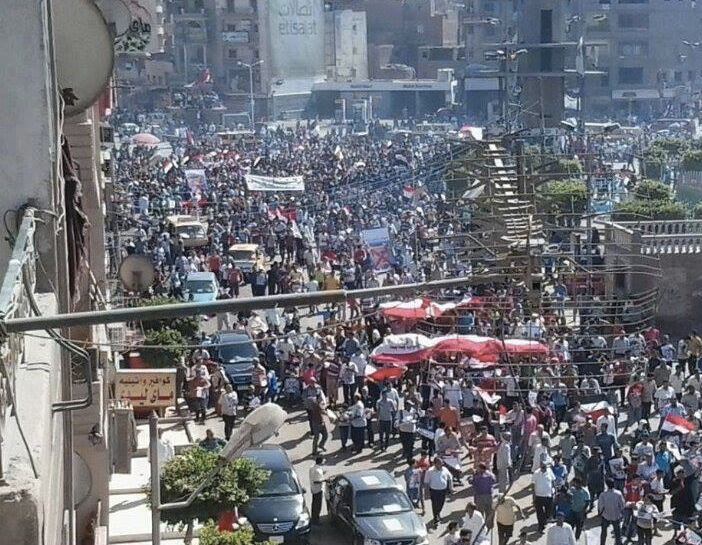 In response to the violence, opposition figures and the Muslim Brotherhood called for calm. The National Salvation Front stated that protests must remain peaceful in order to achieve their goals. Egypt’s leading religious authority, Al-Azhar, called for restraint and warned of a “civil war” between opponents and supporters of the President. Al-Azhar had previously stated that protests against the regime are rightful and do not contradict the principles of Islam. Al-Azhar also stated that the state has the duty to protect protesters. The United Nations, the European Union, and the United States of America have also appealed for restraint and urged dialogue between the opposing parties. The UN renewed its support for peaceful demonstrations and called it an essential democratic right. The violence witnessed today comes ahead of planned nationwide protests on June 30 to mark the President’s first year in power. The Tamarod (Rebellion) Campaign announced that it has gathered more than 15 million signatures in a petition aimed at removing the President from office.